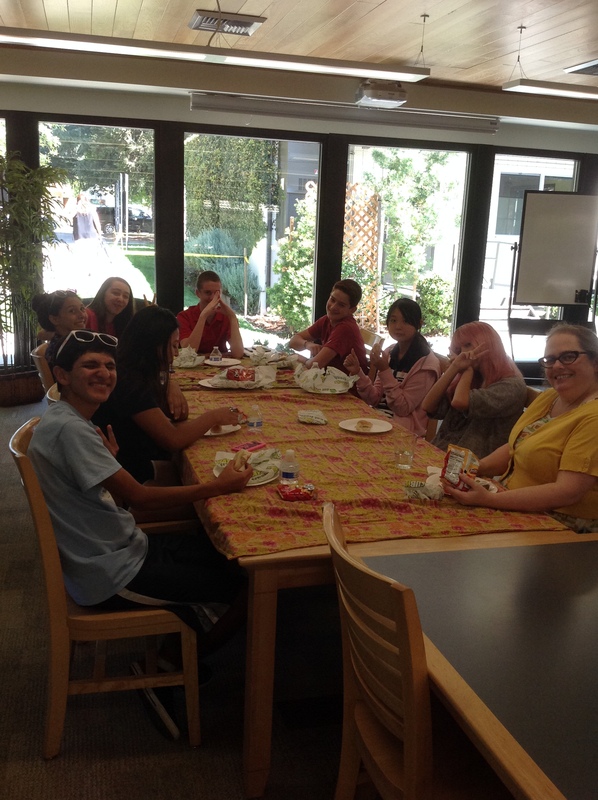 For our first lunch time book club of the year, we had a whopping 18 students and 4 faculty in attendance! Ms. Melinson served up her famous homemade brownies and started off by asking if anyone would be interested in attending a special book club about Go Set A Watchman, Harper Lee’s new book. The general consensus was that everyone would attend, especially if we could get Ms. LaMay to join in. Students talked about the books they enjoyed reading over the summer break. Anny really enjoyed Jodi Picoult’s Between the Lines and its sequel, Off the Page. She also sang the praises of the The Raven Boys by Maggie Stiefvater. Amelia shared several books she read, including Steven Millhauser’s Voices in the Night and Neal Stephenson’s Quicksilver. She and Luca both shared their common interest and devotion to all things Neil Gaiman. Vanessa was busy teaching with Breakthrough this summer, but she had time to take a break and read a book of Sherman Alexie’s short stories, Blasphemy, and a graphic novel called The Motherless Oven by Rob Davis (which we all thought sounded absolutely amazing—household appliances have souls!). Josh enjoyed reading Nick Offerman’s humorous book of political essays, Gumption. `He also read a few Sci-Fi classics. Luca read Go Set a Watchman, but said he’d wait until our special book club to discuss further. He enjoyed reading A Good Year by Peter Mayle, as well as John Grisham’s The Client. Emil had nothing but great things to say about The Martian by Andy Weir, as did everyone else–everyone is looking forward to the movie version coming out soon. Faculty shared some of their favorite summer reads as well. Mrs. Fels loved This is Where I Leave You (Jonathan Tropper) and Dear Committee Members (Julie Schumacher). Mrs. Nellis enjoyed All the Light We Cannot See (Anthony Doerr). 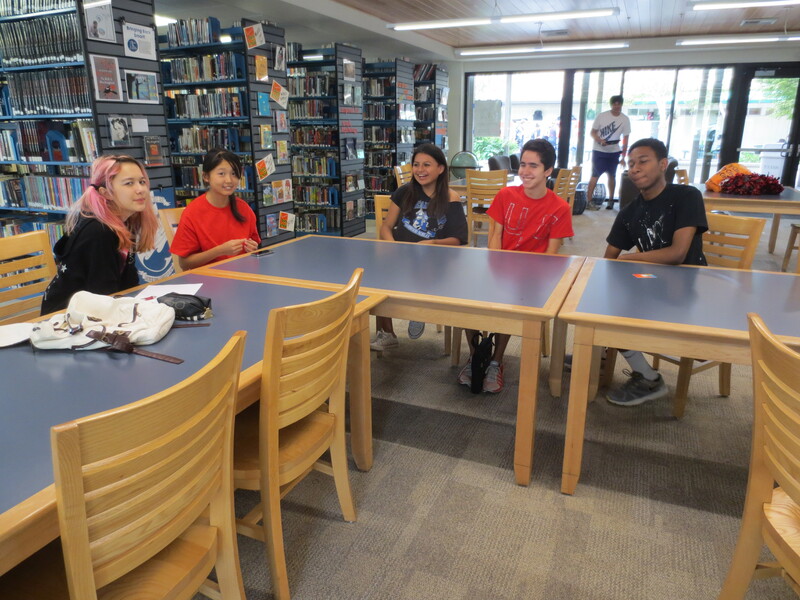 We ran out of time to chat about more books we all enjoyed over summer, but we’re looking forward to next month’s book club to continue the conversation! For a complete list of books recommended during our monthly book clubs, check out our Goodreads list here. Summer is over, but here’s good news: it’s time to give away some prizes! 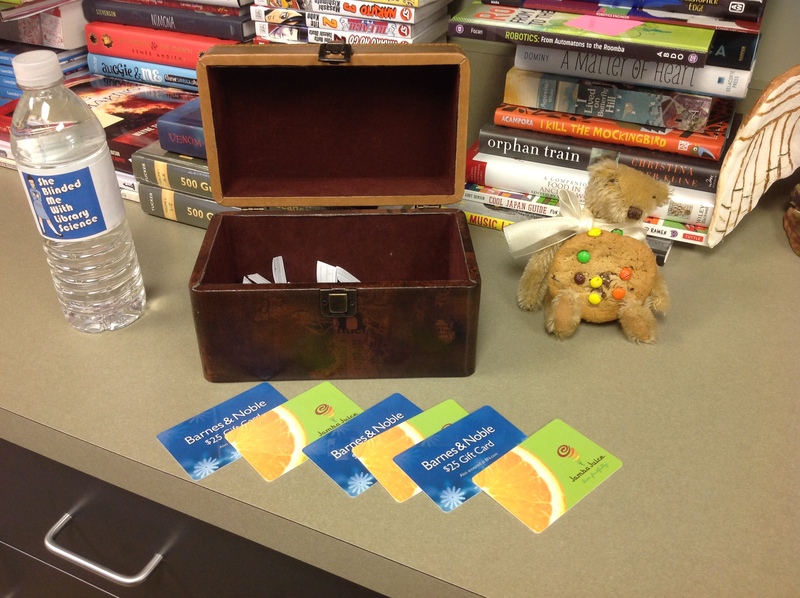 This year we had some great entries from the Middle Schoolers for our Summer Reading Activities Raffle. 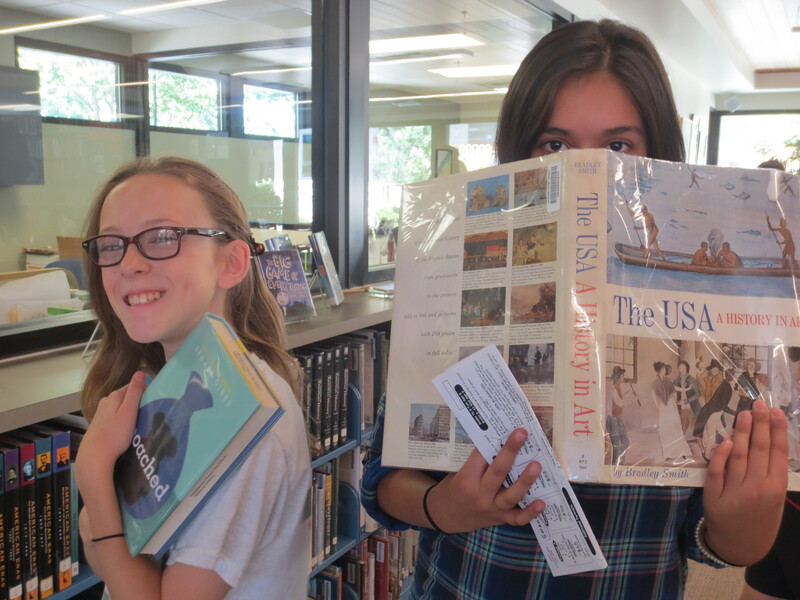 In addition to being entered into our raffle, students were also able to earn virtual badges for the Sacramento Public Library’s Summer Reading Challenge. Overall, the Middle School earned a whopping 37 virtual badges! With the help of a sugarfied Agamemnon, the winners were selected at random. Drum roll, please! Come by the Matthews Library to pick up your prizes! 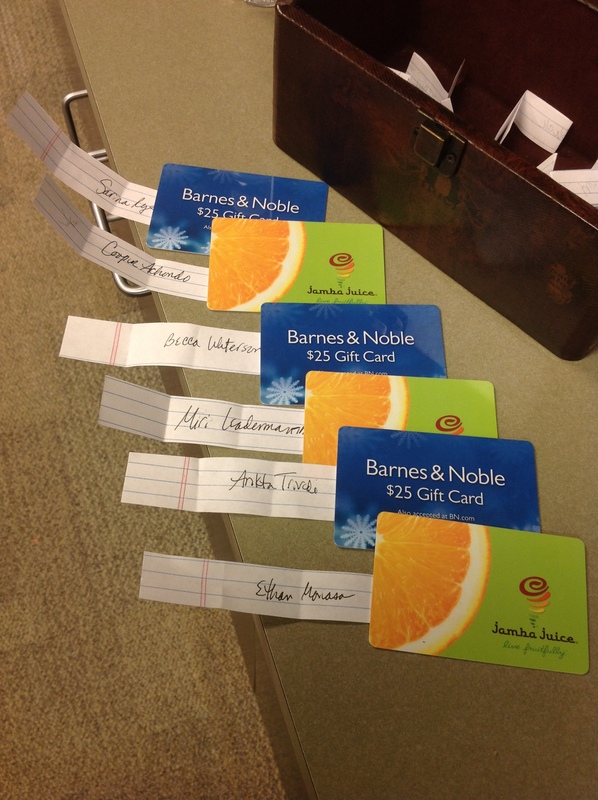 1st Place – $25 Barnes & Noble gift card: Arikta T.
2nd Place – $10 Jamba Juice gift card: Ethan M.
1st Place – $25 Barnes & Noble gift card: Sarina R.
2nd Place – Jamba Juice $10 gift card: Cooper A. 1st Place – $25 Barnes & Noble gift card: Becca W.
2nd Place – $10 Jamba Juice gift card: Miri L.
While we may have a short week due to Labor Day, the library saw a flurry of activity as we welcomed new patrons to Matthews Library, evicted a small dragon, and offered sanctuary to post-Ancil Hoffman team members. OK. Maybe we’re exaggerating about the dragon. Or are we? On Tuesday we had Sixth Graders in the library to learn all about our favorite subject: books! 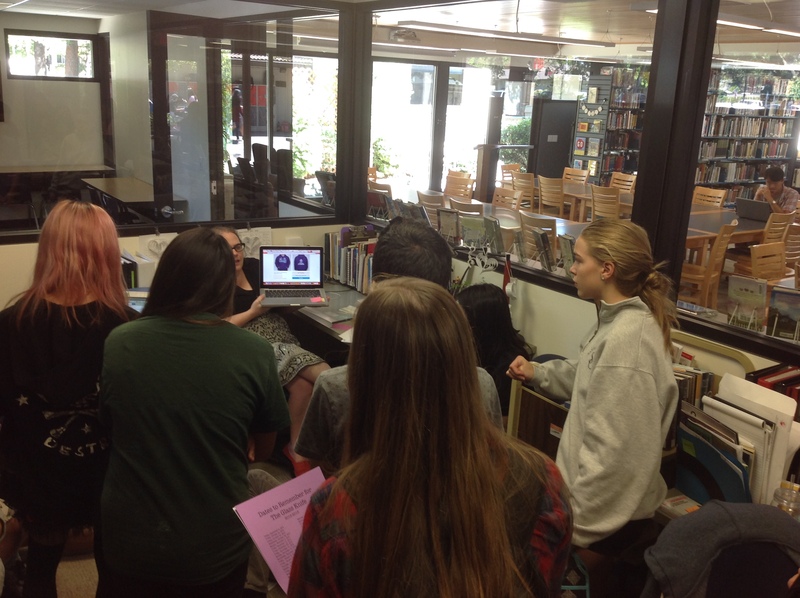 Students got a tour of the library and were able to check out books for their independent reading requirements. 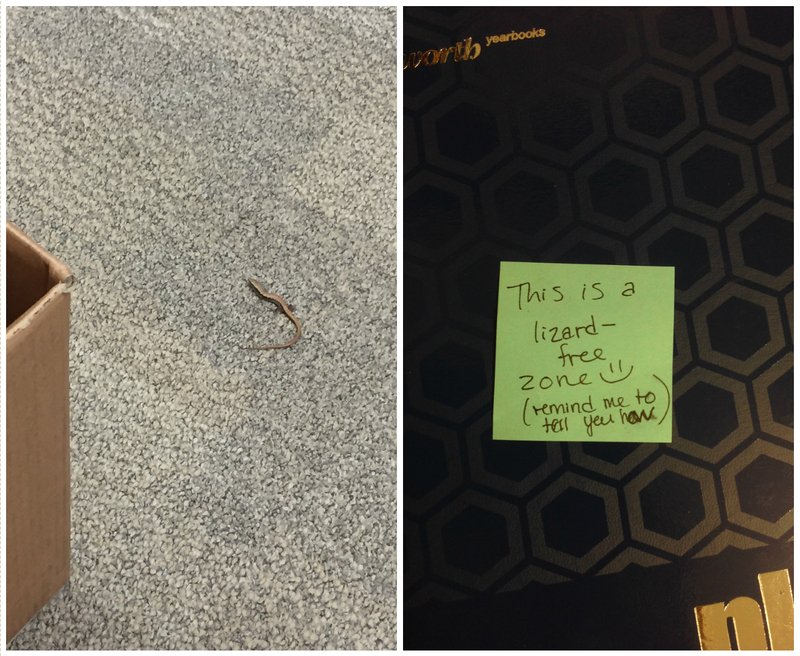 On Thursday we had a tiny visitor. Let’s just call him Tiny Dragon. While we’re sure that he had a delightful personality, his movements were rather unpredictable so we had to politely ask him to leave the Matthews Library. 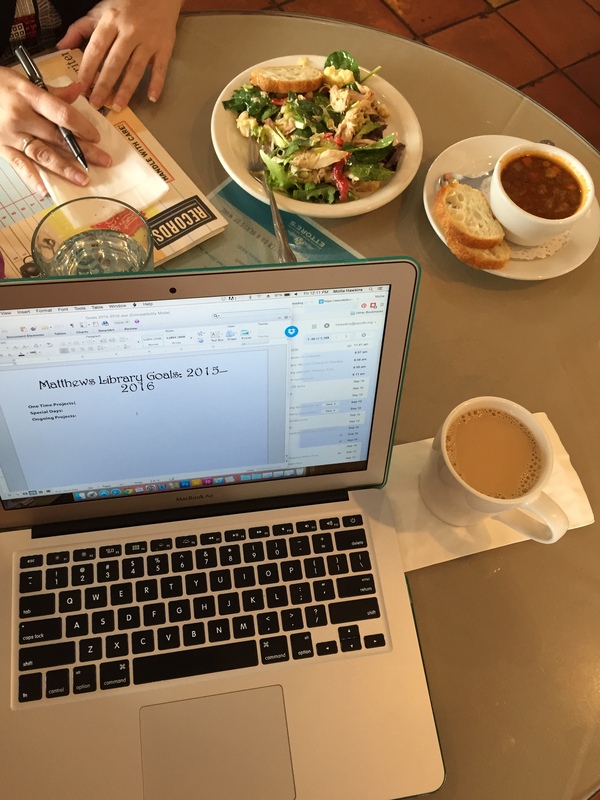 On Friday Ms. Melinson and Ms. Hawkins had their annual library planning lunch. Oh, the events we will have! Friday was also the annual High School Ancil Hoffman picnic. Here’s a rare photo: the red team and the black team getting along before the big game! 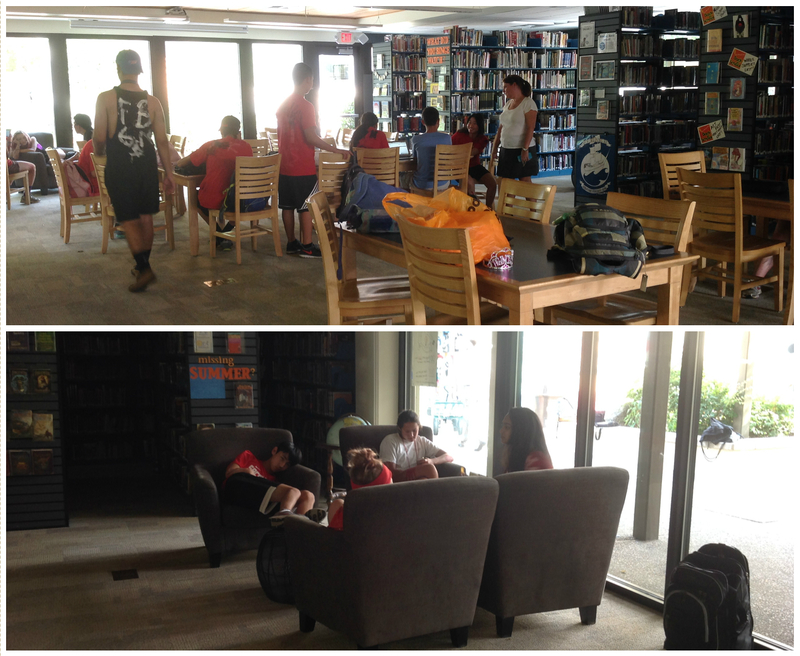 Alas, after a red team victory, many of the participants decided to cool off in the library. Oh yeah—did we mention they played capture the flag in 95+ degree weather? No big deal. I think it’s safe to say that everyone deserves a good rest this weekend. And air conditioning! Ms. Melinson had lunch with her brand new advisory. The Glass Knife had their first staff meeting. 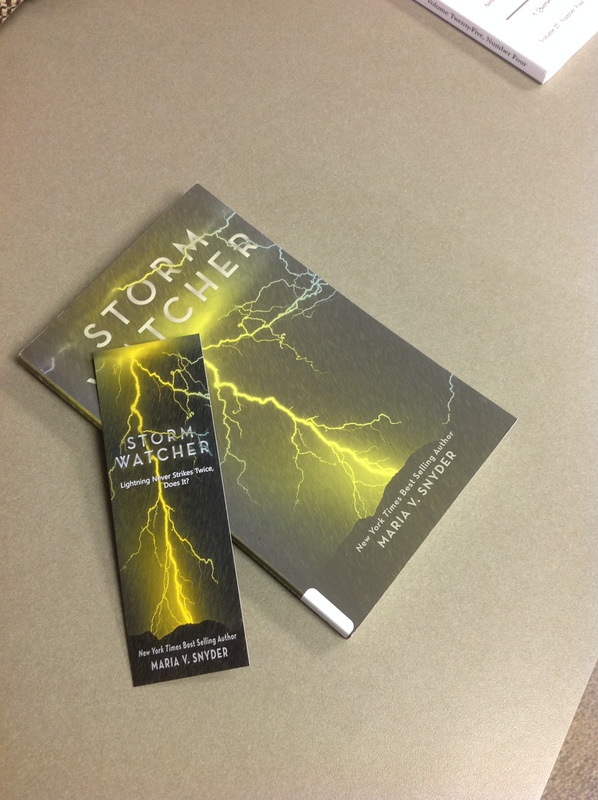 Ms. LaMay’s Middle School Book Elective came in and scored some bookmarks from Ms. Melinson’s author pal. 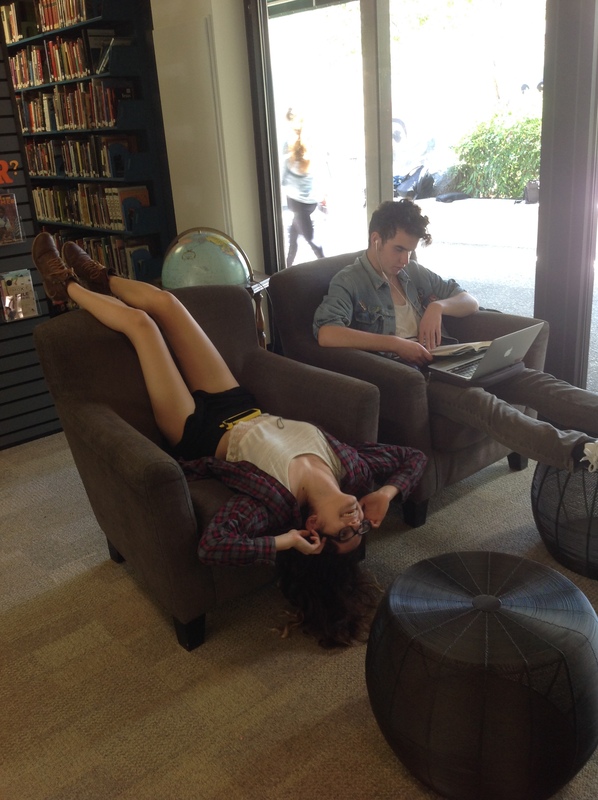 Oh yeah, and they checked out some books, too. 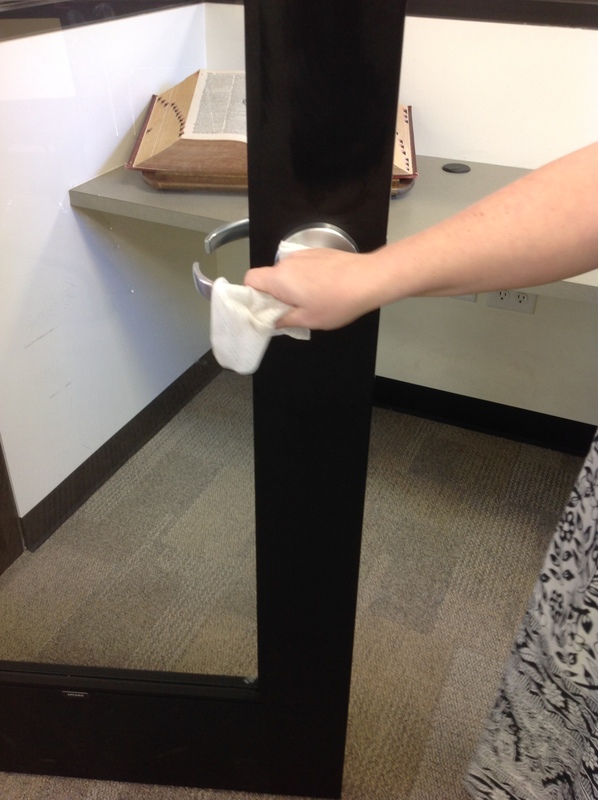 Preemptive strikes against germs! Pew pew pew! Maryjane demonstrated proper library seating techniques. 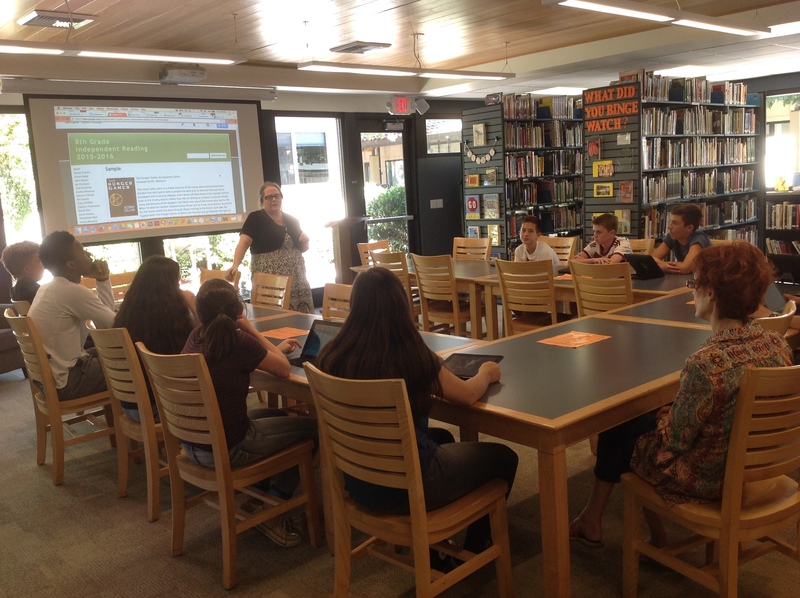 Ms. LaMay’s 8th Grade English class came to learn about using the Independent Reading Sites for posting book reviews. Welcome back to school! Some of our 7th graders have created some stylish lockers. We were so impressed, we had to take photos. Nice work! Mia goes for the minimalist look. Sydney’s eclectic locker is vintage inspired. Sarina & Meg’s doubledecker extravaganza of pink.